,Jeffrey Taylor is an internationally recognized expert on the art market and its problems. He has frequently spoken and published on the problem of art forgery. He has lectured at INTERPOL headquarters in Lyon, France, and his press appearances include: The Wall Street Journal, 60 Minutes, New York Times, CBC Radio, The Village Voice, FoxCT, CoDesign, Artsy, ArtGuide East, and The Conversation. 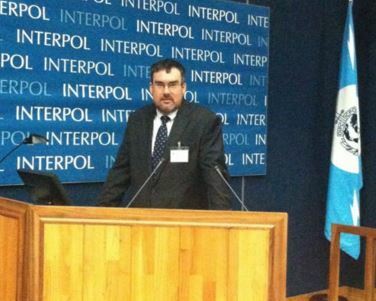 He has worked on forgery and anti-fraud investigations with Homeland Security and eBay. He has over 20 years experience in the international art market and teaches the subject, formerly as an Assistant Professor of Arts Management at the State University of New York (SUNY), Purchase College, and now as the Grosland Director of the Master in Gallery Management & Exhibits Specialization (MGES) at Western State Colorado University. .
Jeffrey Taylor traveled to Eastern Europe in 1990 to be part of the first Peace Corps contingent in Hungary, in fact the first to ever serve in Europe. In 1996 he founded his business to provide fine art shipping services to the growing art market in Budapest. His clients, however, needed more than just transportation services: they needed an expert to guide them through the pitfalls and dangers of the highly unregulated international art market. Since then Taylor Art Services has been serving the needs of Collectors and the Trade. He holds Hungarian state appraisers licenses in Antique Furniture and Oriental Carpets, and is a Certified Appraiser of Impressionist and Modern Paintings, Watercolors, Drawings, and Sculpture (the highest level of authority that an appraiser can achieve) with the Appraisers Association of America. In 2016 Taylor and his business partner Thiago Piwowarcyzk merged their scientific activities to form New York Art Forensics with a laboratory located in the Williamsburg area of Brooklyn and also a research facility located at the criminal forensics department of Pace University in Manhattan. Dr. Taylor earned his PhD. in Comparative History at the Central European University in 2011. His dissertation on the history of the Hungarian art market was published by Helena History Press in 2014 as: In Search of the Budapest Secession: The Artist Proletariat and Modernism's Rise on the Hungarian Art Market, 1800-1914. At Western State Colorado University he teaches courses on the art market, curatorship, connoisseurship, and art forensics. He was the 2016 Leon Levy Fellow at the Center for the History of Collecting at the Frick Collection. He published his second book: Visual Arts Management, with Routledge in 2017.